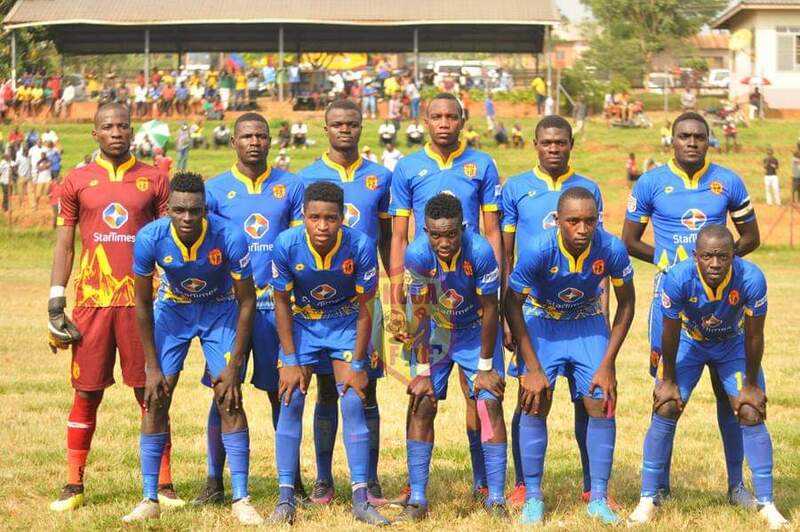 LUGOGO – KCCA FC will be hoping to go six points clear at the top of the StarTimes Uganda Premier League when they host Bul FC at the StarTimes Stadium on Wednesday. After second placed, Vipers’ 1-1 draw away to Tooro United on Tuesday, KCCA start the day three points ahead of the Venoms and victory over Bul will see the Kasasiro move six points clear. However, it has not been a smooth last couple of weeks for KCCA, winning only one of their last three League games including a 0-0 draw away to Bright Stars last time out. With a chance to pull clear presenting it’s self, the Kasasiros who will still be minus head coach Mike Mutebi know their is no room for error. However, they have not been scoring as much as they should, scoring only once in three League games. “We are currently not scoring enough but it is just a physiological handicap that we are working on, said assistant coach Morley Byekwaso ahead of Wednesday’s encounter. “We have been playing games under fatigue but it is now good we are taking them away one by one, continued Morley. “We are playing a fourth placed team but our job is to get three points. KCCA will be welcoming back Saddam Juma who has been out since the 3-1 loss away to Express. Lawrance Bukenya also returns after a knock. They will however still be without Herbert Akyai, Gift Ali and Eric Ssenjobe who are all still injured. For Bul, they have been enjoying reasonable form lately, one that has seen them climb as high as fourth on the standings. Peter Onen’s side have not lost a game since 29th December, defeating Express 1-0 on Sunday, in their last encounter. If somehow they can defeat KCCA on Wednesday, they will move to with in three points of third placed Mbarara and 8 behind the leaders. This is the 16th encounter between the two sides since 2011. In the first 15, KCCA have lost only one game against Bul, winning 8 and drawing the other 6. The first game this season saw the Kasasiros win 2-1 at Njeru. In the reverse fixture last season, KCCA required a Derrick Nsibambi injury time winner to win 2-1. Going into the game, KCCA have won four of their last five League games, drawing the other. At home, they have not lost a League games in any of their last 25 encounters (W22 D5). Their last defeat at home was in a 2-1 loss to Vipers back on 25-04-2017. For Bul, they are currently on a five game unbeaten run, winning threw and drawing two. However, away from home, they have won only one of their last 5 games (D3 L1).